If America could vote for the most deserving “All-American Couple,” Emily and Jay would have it by a landslide. I have known Jay’s family going on 30 years of life, and Emily’s crew is easy to fall hard for as well. Both families have become best friends and even bought vacation homes in Naples to get even more time together. Talk about a family commitment! The wedding day started with bells atop the Basilica of St. Mary’s and emotions running high with excitement. 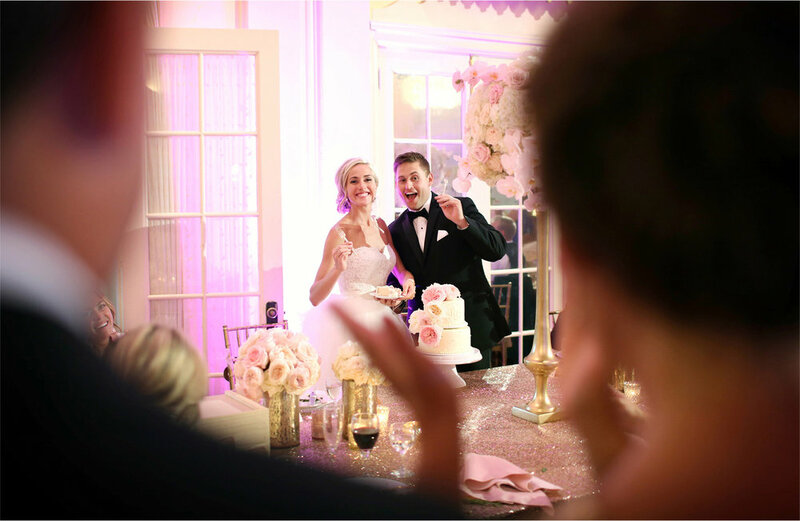 Sarah Trotter, of Lasting Impressions Weddings, had her mastery of the Lafayette Country Club under control as it sparkled as it awaited the guests. These two world travelers even flew in from Italy a street performer they had met studying abroad! What?! We would dance the night away as the reunion of so many fabulous people kept the dance floor full. I even got to have a dance-off with my former Preschool teacher, as this grandma sure knows how to have fun! The moment of the night might have belonged to Emily’s grandpa though as their family anthem “Sweet Caroline” rang out and a circle formed around him with arms raised and joyful tears flowed. What a day for thanksgiving & blessings! I could not be happier for two incredible people that will make a big dent in this world.